Gamers have long used DRM’s prescence as an excuse to pirate software, stroking their own egos and telling themselves they’re just fighting the man. Naturally, when a game comes along without DRM, all these conscientious objectors would pony up and buy it to support the motion, right? Demigod, which contains absolutely no DRM, has a nearly 10:1 piracy ratio in the first week of release. As it turns out people just want to steal things after all. 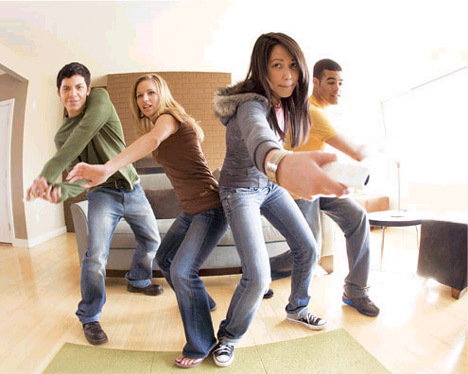 TGR writer Jeffrey Matulef explores why the Wii is still so damned popular, and yet still such a flop with core gamers. I’m no psychic, but I think graphics fidelity will be mentioned once or twice. Another week that’s thankfully light on the wallet. Dynasty Warriors: Gundam 2 will be available for those that don’t want to think while playing games, and Velvet Assassin for those that do. And I Love Horses for, well, everyone. Never one to miss a good opportunity, TGR writer James Barr provides both ego-stroking and flamebait for the Microsoft faithful. Join Lawrence Sonntag for a dissection of what makes F.E.A.R. 2 work – and how that allows it to offer game play that other horror games can’t. Ding! This week’s Big Red Potion is all about World of Warcraft, and the how the gaming community and press relate to it. Joining Sinan and Joe in the pod is Dangerous Kid Jeffrey ‘Switch’ Sorensen and Cranky Gamers UK’s Dits. Dr. Mario Express ($5) and Master of Illusion Express: Deep Psyche ($2) hit the DSiWare service. WiiWare gets CRYSTAL DEFENDERS R1 ($8), a tower defense game from SquareEnix, and Wonder Boy III: Monster Lair ($9) hits the Virtual Console. A rather weak week, eh? Oh well, Super Punch Out and Ogre Battle are keeping me satisfied. The first footage from Rock Band: Beatles was shown during a Paul McCartney concert recently. While no gameplay footage was shown, the video does give a sneak peek at the fab four’s rebirth under the Rock Band aesthetic. I won’t lie, they’re cute as hell. A new study conducted on gamers from ages 8 to 18 by Douglas Gentile of Iowa State University shows signs of addiction in 8.5% of participants. These signs include neglecting homework, trying unsuccessfully to cut back, and even lying about time spent gaming. Four times as many males as females reached this level, and once a "pathological gamer," these children had trouble concentrating in school, and reported feeling irritated when away from games. Introversion software announced a split with their previous publisher Pinnacle for their DS iteration of Defcon which originally appeared on the PC in 2007. Now, the indie developer is partnering with brilliantly named consulting firm Bad Management. Here’s hoping everything works out so we can have a nice game of thermonuclear war on the go. OXM reports that achievements for old school Sega titles Altered Beast, Shinobi, and Comix Zone have surfaced, which indicates the titles will release on the Xbox Live Arcade at some point. This is, of course, for people that can’t find other, cheaper means of playing these games.